Social Media Marketing for HVAC Companies: Which Platform Is Best? There is still very much a sense of dread when service professionals think about social media marketing as part of their overall internet marketing strategy. It can seem frivolous, and may very well contribute to the inattention and waning interpersonal skills of younger generations, given their dependence on these platforms. But when you’re trying to reach modern consumers, your potential HVAC clients are online, and they’re using social media. 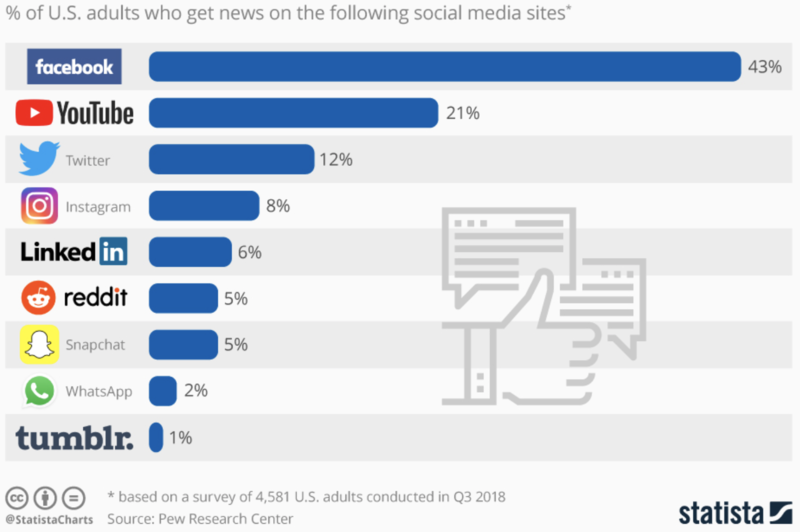 In fact, Facebook (as the social network Goliath) has 204,000,000 users as of October 2018, according to Statista. You’d be in denial to imagine that there are no customers in that user base for you. So How Do I Best Approach Social Media Marketing To Get More HVAC Business? Go with the big guys. 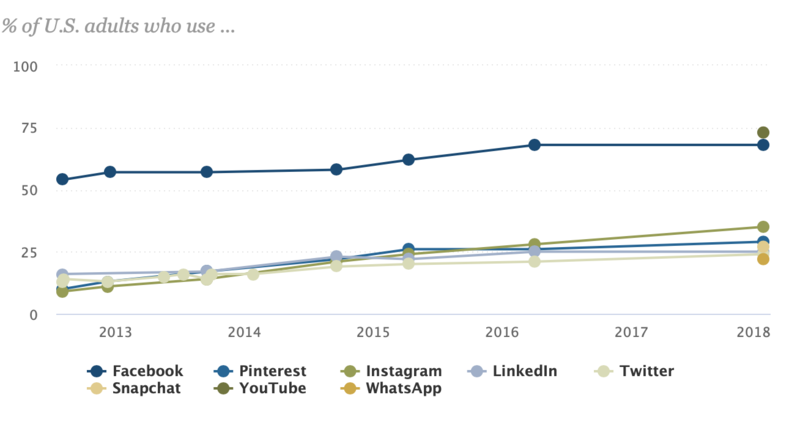 Facebook, Instagram, and YouTube have significant market share when it comes to user base. Across most age groups (those 65+ notwithstanding), US adults are on at least one social media platform, and honing in on this reality can make a huge difference on not only your Google search rankings, but also how often your phone rings. Here’s one fact that is important to take home: You don’t have to spend hours a day on Facebook for an effective social media campaign. The need to be present online doesn’t mean you have to stay glued to your smartphone screen all day. You don’t have time for that, and we know that. The reality, however, is that average users check their Facebook pages fourteen times a day. When your potential client base is in need of heating and air conditioning repairs, it’s a no-brainer that you need to show up on Facebook to capture their attention where it is. But this doesn’t mean posting five times a day; it doesn’t even mean posting every single day. How Do I Set Up A Facebook Page for My HVAC Business? Create a Business Page – This should be obvious, but given the need to leverage Facebook ads, which I’ll discuss more in a minute, you want to have the right kind of account. Don’t expect your personal Facebook account to double for your business. Fill in the blanks – When creating a Facebook page for your HVAC company, you’ll be prompted to enter all the relevant information, such as: physical address, email address, phone number, etc. Don’t skip any of this information! This is critical for establishing a cohesive internet marketing presence, and having consistent business information across the web will improve your Google search rankings. Hand over the login – If you hate Facebook, it’s going to show. Delegate the management of your Facebook Business Page to someone who can give it the love it deserves. There may be someone on your admin team who can run with this, quickly and efficiently to get you up and running. And if you don’t want to oversee this in-house, you can always hire a web marketing team to do that for you. Now that you’re page is set up, it’s time to start scheduling your ads! Here’s the thing: there’s no need to feel yucky about placing ads. Sure, they can be kind of annoying from the user experience perspective, but they’re far less offensive than you’d imagine (especially for a free user platform like Facebook). And realistically, they’re the digital version of advertisements you used to see in magazines and newspapers without thinking much of it. There was no shame in utilizing traditional forms of marketing to get your name out there, so we shouldn’t saddle modern techniques with undeserved distaste. The great thing about Facebook advertising for HVAC services — versus some of the traditional marketing mediums I mentioned earlier — is that you can target your audience by demographic. In other words, your internet marketing dollars are spent strategically, and you can choose how much you want to invest of your advertising budget. The metrics that Facebook gives you in response to an ad’s performance are a goldmine for pivoting as needed to get greater reach and maximizing your social media marketing budget. Instagram is going to be more visually based than is Facebook, which means that your page, or “Feed,” is going to rely on a rotation of images. You can find lots of tips online for getting great photos for your HVAC business, but the key is to keep it simple. You don’t have to hire a photographer to keep up weekly posts on Instagram, which would be a great minimum engagement. Because Instagram is owned by Facebook, this is a great compliment to Facebook advertising, and you get similar tools and feedback for the ads you place. Your business pages on both platforms serve to provide the basics and establish you in that space, and should be developed as secondary websites. This is a great opportunity to hone your brand, or business identity, and reinforce it via the content you post, images used, color scheme invoked, etc. YouTube may not be the first platform that comes to mind when it comes to establishing your business on the internet, but it has become an incredibly powerful tool as a search engine in its own right. Google still dominates, no question, but have you ever noticed how prominent are the video results (from YouTube) on SERPs (Search Engine Results Pages)? Given the ever increasing preference for visual media, these video hits are gaining traction and can inspire huge leaps in the search rankings for associated pages, such as your primary website and social media pages. Imagine a potential client is searching Google for furnace repairs in [your area]. Because you did some fantastic work developing your social media marketing plan, you are all over the SERP. You website is closer to the top than ever for organic results, due in part to your optimized social media pages, and your Facebook and Instagram pages themselves are prominent in the rankings too. (A cohesive social media marketing approach looks really nice to Google and helps legitimize your business, including all associated pages!) And then BAM! There’s a video from your company with a simple checklist of home maintenance reminders for the season. With all that great information available so prominently in the search results, I know who I’m calling! The scenario I just presented is ideal, no doubt. I’d be remiss if I didn’t advise that it can take up to a year for newly established domains to perform well in search rankings. That can be frustrating, of course, but the goal with a good internet marketing plan is to keep your business growing and the phone ringing long term. This means you need to plant some seeds and plant some bulbs, so to speak. The bulbs, or paid ads, will help you get immediate attention, whether we’re talking Facebook ads for HVAC services or PPC. And the seeds, that’s all your organic content, growing deep and wide to help your website and social media pages stay relevant and well-liked by Google far beyond when they were created. A balanced approach with realistic expectations can help set you up for long-term success. Knowing the platforms on which to focus for social media marketing can go a long way in helping you lay a firm foundation that will provide an excellent user experience for potential customers, as well as attract search engines for stellar rankings.